The super capable Ram 2500 comes available in an array of cab and cargo-box sizes, which makes it perfect for a diverse range of customers. Prospective buyers will find that the 2500 is in the competitive heavy duty pickup segment, along the likes of the Chevrolet Silverado HD, Ford F-Series Super Duty, and GMC Sierra HD. 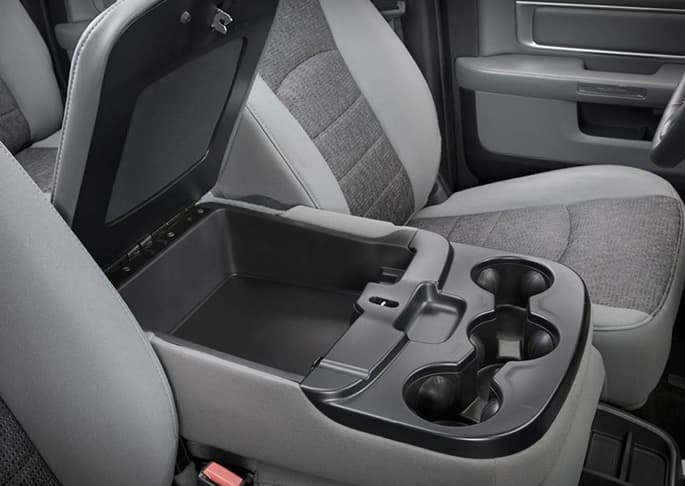 For the 2015 model year, Ram has been made available with power-folding mirrors, work-grade vinyl seats, as well as hill descent control on the Ram Power Wagon. The Ram 2500 comes with an excellent standard six-speed automatic transmission for gas engines, and though it comes standard with rear-wheel drive, a four-wheel drivetrain is also available. The Ram 2500 has truly impressive powertrain options, with a standard 5.7-liter Hemi V-8 engine. The V-8 boasts 400 pounds-feet of torque and 383 horsepower. Additionally available is a 6.4-liter Hemi V-8, with either 429 pounds-feet of torque with 410 horsepower standard, or 370 horsepower with the Mega Cab configuration. For a remarkable amount of power and capability, there is also a Cummins turbo-diesel 6.7-liter V-8. This engine comes with 350 horsepower and 660 pounds-feet of torque (with the six-speed manual), or 370 horsepower and 800 pounds-feet of torque (six-speed automatic). The Ram 2500 is certainly an eye-catcher, with a rugged exterior and luxurious interior. The outside has different grille finishes which depend on your chosen trim. Coming standard are LED taillights, and fog lights. The 2500 offers a power sunroof, RamBox storage bins in cargo-bed sides, and a few wheel options in either 17-, 18- or 20-inches. The elegant interior comes in either cloth, vinyl or leather, and can be equipped with heated front and rear seats, air conditioning, a heated steering wheel, and ventilated front seats. Also available is real wood trim for a refined appearance. There are excellent technological features as well, with the 2500 boasting an 8.4-inch touchscreen, a 7-inch screen in instrument panel, and AM/FM stereo with USB port and MP3 jack. Additionally available is a navigational device. The 2500 puts just as much emphasis on the safety of its passengers and driver as it focuses on capability. Coming standard are side-impact airbags, side curtain airbags, hill start assist, trailer-sway control, and electronic roll mitigation. For improved visibility, the 2500 can be equipped with rear parking sensors and a backup camera. 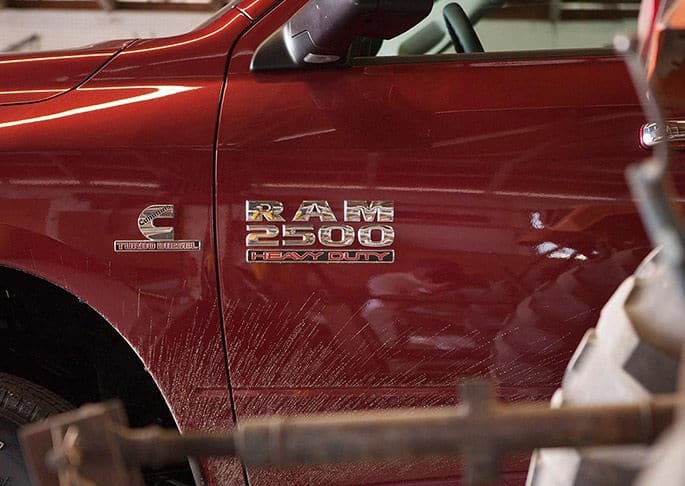 Would you like to learn more about the incredibly powerful 2015 Ram 2500? Give us a call, or fill out the form below, and we would be happy to answer any of your questions! Learn more about this model on the Official Ram 2500 Website.